Hello Beauties! I hope you're all well and have had a lovely weekend! I spent mine catching up with some friends that I hadn't seen in around a year which was really nice, and then doing all of the boring bits to get ready for the week ahead. 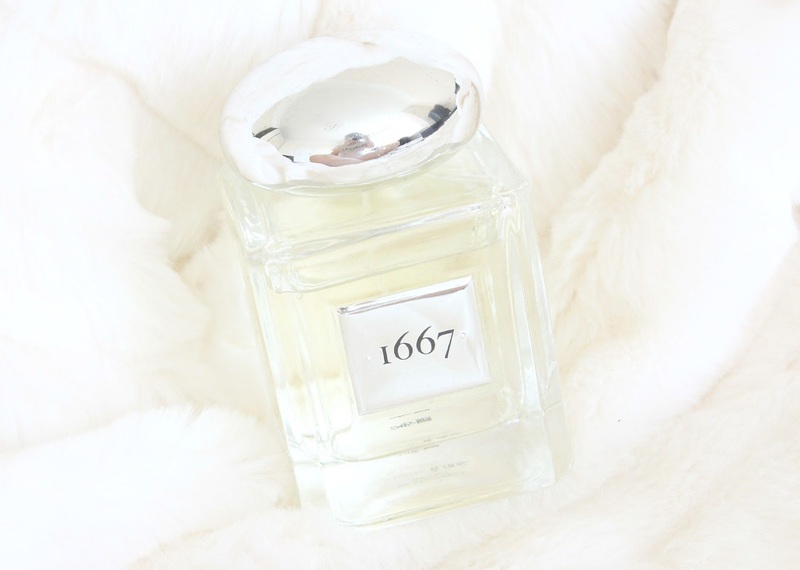 I don't normally post fragrance reviews on Lipgloss & Lashes, mainly because I'm rubbish at describing scents...but when The Fragrance Shop told me that they were launching their own range of fragrances, 1667, I just had to give them a go. 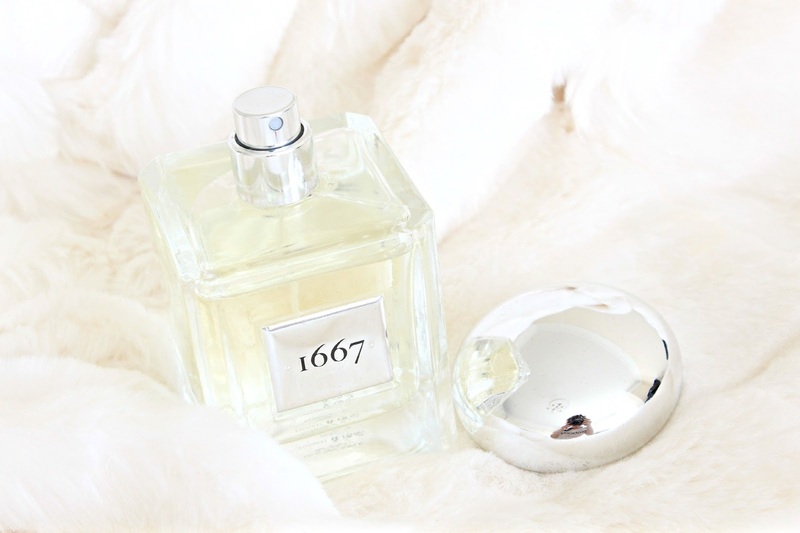 1667 is a fragrance range inspired by the traditions of perfumery created in 17th Century France, designed to allow you to indulge your senses in rich fragrances. The range contains three scents both for him and for her: Luxe Vanilla, Opulent Floral, and Rich Mandarin & Pepper. Each fragrance is also available in a perfume, candle or reed diffuser, so the range isn't just for you...its for your home as well. I opted for Luxe Vanilla as it sounded to be the sweetest and most 'me' of the range. The perfume came beautifully packaged in a luxury black presentation box and I think the packaging for this perfume is simply stunning. The bottle is pretty simple, but really elegant and looks gorgeous sitting on my dressing table. The bottle is a clear square shape with an elegant silver lid (kind of inspired by Jo Malone I think) and also the 1667 silver plaque. Unfortunately, that's where my love for this fragrance stopped. When I hear Luxe Vanilla, I thought it would be a sweet vanilla fragrance but this doesn't smell like that at all. The fragrance is quite musky and spicy, without a hint of vanilla, so I think the name is quite misleading. I think this is more of a mature scent in all honesty and it just isn't very 'me' so unfortunately I don't find myself reaching for this. However, if you love musky and spicy scents then you'll really love this. The scent is also really strong and long lasting which would normally be great, as you don't have to use as much or top up during the day, however when you're not a fan of the scent it's a nightmare. Overall, I think the concept and quality of this perfume is great, however the scent just isn't for me and I really think they should consider renaming Luxe Vanilla, as it can be quite misleading to those buying the scent online. Ohh so exciting to see the Fragrance Shop launch their own fragrance line and the packaging looks so luxurious. Such a shame the scent wasn't what you thought it was going to be though! 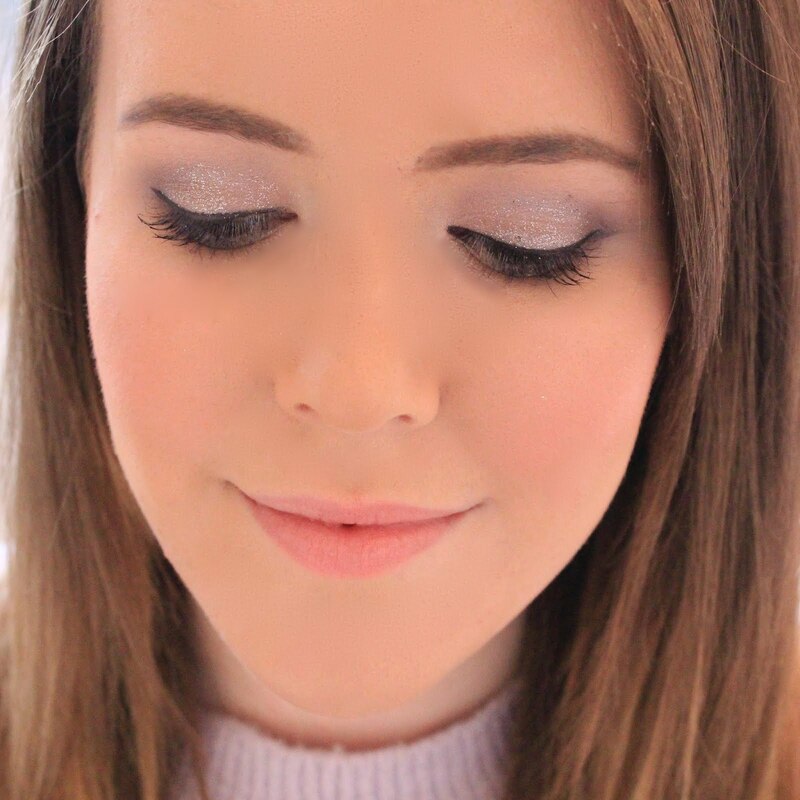 Fabulous review as always Becky! Love the packaging but such a shame about the scent! I got so excited for a second there since I love anything vanilla-scented. It's such a shame this wasn't a vanilla scent and I definitely agree they need to rename it, as the name is 100% misleading!